Sales Planning & Operations (SP&O) is a new R29 department focused on streamlining our ad sales business. The purpose of this department is to align high-level go-to-market ad sales strategy with day-to-day operations. Its main functions are owning pricing, packaging, & planning for all ad sales offerings as well as streamlining department-wide ad sales operations. 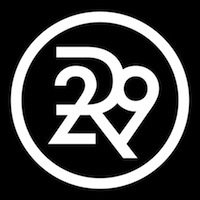 Refinery29 is looking for a Senior Manager to work closely with the Director & VP to scale impact in pricing, packaging, & operational improvements across the organization.